I mean, it’s not going to set a world record for originality, but hey, that’ll do. 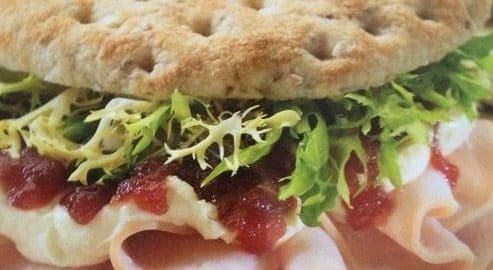 Smoked turkey breast, frisee lettuce, Brie and cranberry chutney on a nine grain flatbread, with Sun Chips and Milano cookies. Wow! 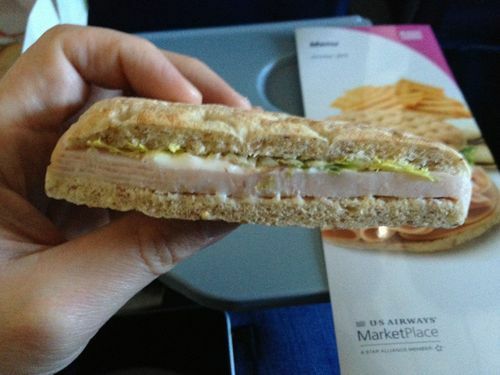 Pretty nice, US Airways! 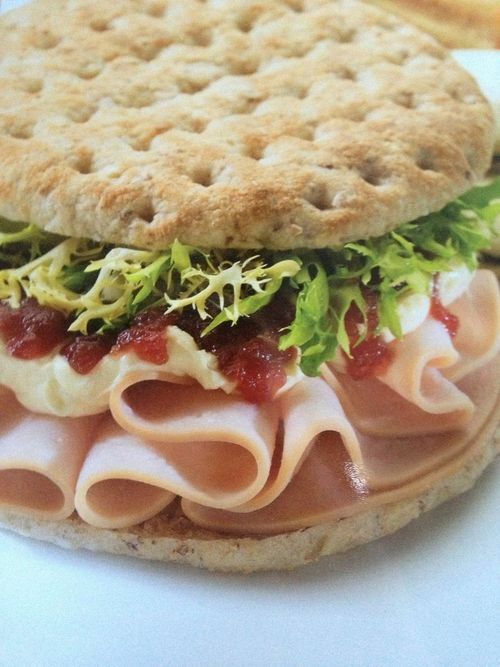 Brie and cranberry chutney on my airplane turkey sandwich! 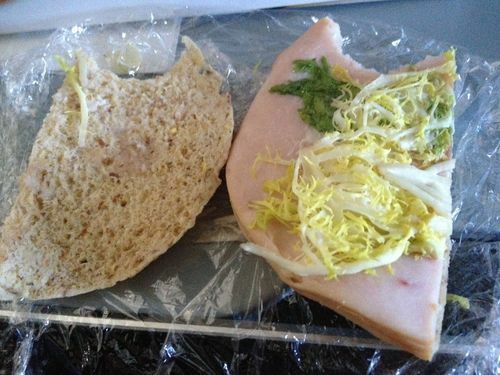 Here’s what the real sandwich looked like. Wait, is that little dab of white supposed to be the Brie? Or is that mayonnaise? I took a bite, but I didn’t taste any Brie or cranberry chutney. So I peeked inside. Welcome to the wonderful world of advertising.